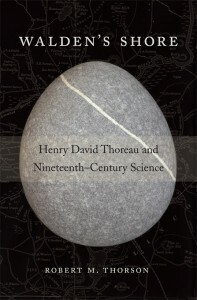 For those interested in the creation story of Walden Pond, Thoreau’s expertise in physical science, and the link between these topics and his masterpiece Walden. Having been well received by critics, the paperback edition was released in September 2015. To see color images from the B&W book, link to Chapters. Images: Dust jacket cover design by Annamarie, McMahon Why of Harvard University Press.